Organic Hibiscus tea is cultivated and consumed throughout the tropics, from the Caribbean, to the African Sahel region, to Southeast Asia. 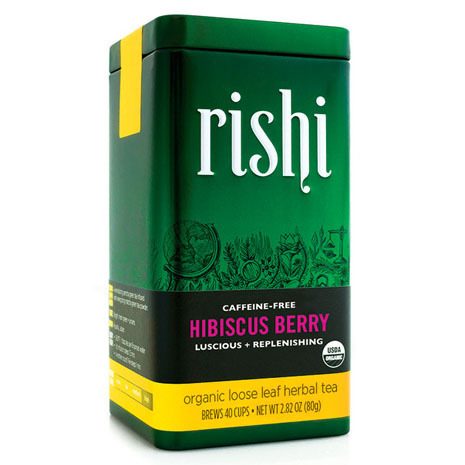 Its Hibiscus flowers provide a deep red infusion with a tangy, tropical fruit flavor suggesting citrus, cranberry and pomegranate. Delicious hot or iced, Hibiscus Berry cools and refreshes with a character similar to sangria and fruit punch. A radiant blend of rosehips tea, currants, and elderberries that creates a rejuvenating red herbal infusion. Hibiscus ties the blend together in a delicious, quenching cup with notes of mango and pomegranate. Hibiscus Berry makes a great fruity base for sangria and is wonderful served with an orange wheel garnish over ice for a sugar-free fruit punch.